The western lands of Vorarlberg and Tirol are part of Austria, but they are only connected to Austria by mountainous pass which is not very practicable (Tirol and Vorarlberg among themselves are also themselves connected only through such a pass). Including the nowadays Italian South-Tirol in the equation doesn't change this fact, either. The simplest/fastest way to reach mainland Austria from Vorarlberg is to go north and through Bavaria. From Tirol the simplest way is also to follow the Inn and to go right through Bavaria. Both Austria and Bavaria are very old countries, and when they formed in the Middle-Ages, it was definitely not practical to go all the way to the mountains to carry messages, transport goods and troops from mainland Austria to it's western parts. So I do not understand why those western lands could be part of Austria, especially back then when transport and communication was much more difficult than today. Because the House of Austria became Counts of Tyrol, and later acquired Vorarlberg. When feudalism gave way to modern states, these territories fused into Austria as we know it today. The thing is, borders are the way they are because of history. You cannot infer geopolitical divisions from only geography, and then act astonished that reality isn't identical to inside the ivory bubble. Borders do not emerge in a vacuum; wars happen and diplomacy is messy. Besides, both Austria and Bavaria were part of Germany when "they formed in the Middle Ages". Why would it matter whether or not it was practical to go in one direction or the other, when both are part of the same country? First of all there are more than 1000 years of history you have to know and then you understand maybe a small part :-). But let`s begin. The roots for the house Habsburg are in Switzerland. The rise and fall of the empire especially the House Habsburg is well known, otherwise use the link for further reading. The answer why Vorarlberg is not part of Switzerland or Germany is answered in two ways. First: There is history over 1000 years and according to the rise of the house Habsburg they have been connected mostly together. Second: After the fall of the monarchy there was a plebiscite about the issue to join Switzerland. This was accepted by the polulation but refused by the Swiss government. Before WW2 there was the so called “Anschluss” to Germany. And after WW2, French troops secured Tyrol and Voralberg. After the war there have never been thoughts about to independence from Austria. That`s the simple/complex answer. National borders are not defined by geography. They are not even defined by ethnic and cultural boundaries. If that was the case, we probably would have much less wars ongoing. National borders are defined by politics and history. In case of Tirol (Tyrol) and Vorarlberg, the whole Tirolean region (larger than what is today Tirol and Vorarlberg) belonged a long time to the Holy Roman Empire in the Middle Ages, specifically to the Austrian Habsburgers and Babenbergers who ruled the core lands of what is today Austria. Over the time, the Austrian nation, later Austro-Hungarian-Empire and a smaller Austrian nation again consolidated into what is todays Austrian Second Republic. That Republic was formed by the Winners of World War One who even took part of Tyrol from them and gave it to Italy where it still remains today (Southern-Tyrol). Northern and Eastern Tyrol mainly remained for Austria because the people there were more Germanic than Italic and also because the Winners of World War One wanted to prevent a shared border between Germany and Italy. Vorarlberg and Tyrol were part of what used to be called Further Austria. This extended from today's western Austria, across parts of modern Switzerland around Lake Constance, and Swabia in southwest Germany, past the Rhine. 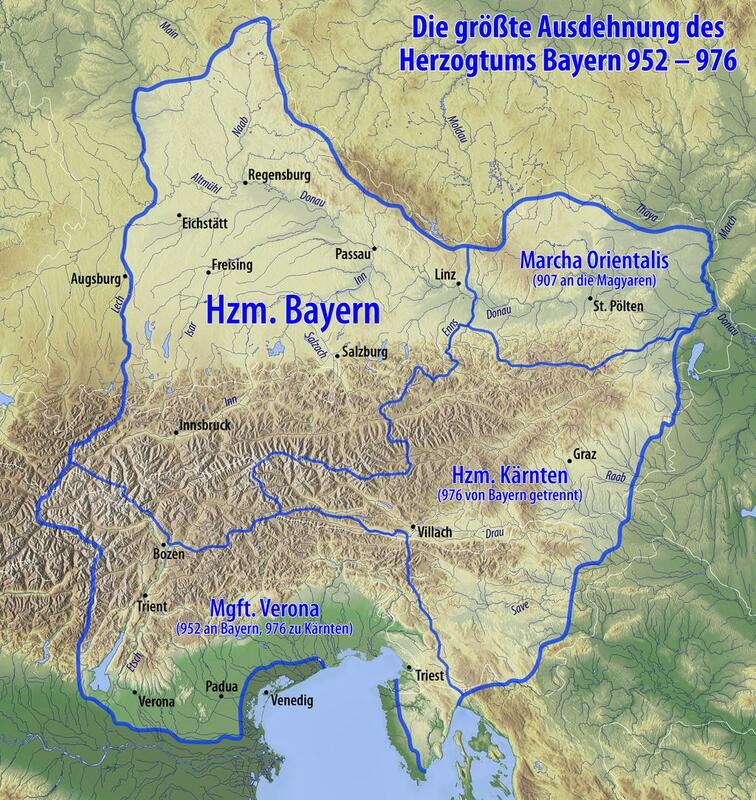 The land that later became "Further Austria" was connected to Bavaria until Holy Roman Emperor Frederick Barbarossa awarded Bavaria "proper" to Henry the Lion. The ruler of "Further Austria" received "modern" Austria as compensation, became Duke Henry of Austria, and moved his capital to Vienna, but held both modern and "further" Austria. Even though there were several changes of control in the later centuries, the two parts of Austria "traveled" together. "Germany" (individual states actually) and Switzerland gobbled up most of Further Austria, except Vorarlberg and Tirol, because they were so mountainous. These two provinces "elected" to stay with Austria (even in modern times, when there were plebescites regarding whether they should join Switzerland). In the end, they stayed part of Austria because they wanted to, and others could not "force" them to do otherwise. This was true even though it might have been easier or more convenient to ship goods across Germany or Switzerland. But it must be said that these two provinces are today the most prosperous parts of Austria. Not the answer you're looking for? Browse other questions tagged austria political-geography bavaria or ask your own question.